Your Results Are Consistent With A Type KA. Abs System + "Phase 2"
Don't want to watch the video? Thank you so much for taking the quiz! I'll give you a unique core exercise called "the oyster"
You'll never have to set foot in a gym as this exercise require ZERO equipment, take as little as 7-seconds to do and is so simple, a baby can do it! Just a few minutes from now, I'll share with you a personal story about how I discovered these unique exercises. And I'll even show you a picture of my baby girl doing these exact exercises that can heal your aches and pains and make your belly look leaner without strenuous workouts or complex diets. Your unique Core Type determines which exercises will actually help you get the results you want and which exercises you must avoid at all cost unless you want to risk injuring yourself or cause your belly to stick out more! How you can follow the same exercise routine as your friend, co-worker or family member and watch them get amazing results, all while you see no changes and perhaps even hurt yourself in the process! that are Appropriate For Your Body and your individual skill level. PART 1 - The "apple" stands for how your body naturally distributes its fat content. Since these are your problem areas, you probably have a hard time picking out dresses, pants and shirts that fit well and that make you feel comfortable. PART 2 - The term "Kyphotic" refers to what type of posture you have. There's 2 natural curves to your spine. The Kyphotic curve which is your upper back and the Lordotic curve which is your lower back. The balance between these 2 curves is what classifies a person's posture. Based on your quiz results, you seem to have an exaggerated kyphotic curve in your upper back. You're different than other people around you and Type KA's like you have a very specific set of challenges you need to overcome if you ever want your body to look AMAZING! The first thing you need to do is make sure you AVOID These 2 Exercises at all costs! I highly recommend type-ka's like you to avoid doing any sort of crunch until you properly reactivate your core using the exercises you'll learn about today. I recommend avoiding sit-ups until you are able to retrain your core muscles to function the way nature intended. By now, you're probably wondering why someone develops into a Type KA, right? If you find yourself leaning to one side while sitting, you can shorten one side of your core muscles making them "overactive" while you lengthen your core muscles on the other side making them underactive. This causes what Dr's. refer to as upper cross syndrome and over time can lead to severe scoliosis, bulging disks and even nerve problems! If you hurt your right knee, your body will turn off it's connection to the muscles of your right leg and send more "juice" to your left leg. Why is it that injuries continue to cause pain? It's because the injury caused your body to move differently to compensate for that injury. When this happens, your core, which is the center of your body adjusts and causes a permanent and potentially damaging change in how those muscles are used! This is not your fault... Very Few People Know About This and even fewer know how to fix it! Led me down a path to discover a series of Dr. Created exercises that can help Type KA's like you flatten your belly and fix your aches and pains in just 23-seconds! "There's nothing more I can do...We need to get her to the hospital!" 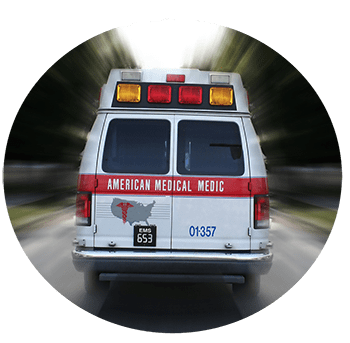 ...after my heart finished skipping a beat, I rushed to my wife's bedside, scooped her up and carried her to the car where I drove her directly to the hospital for emergency treatment! My wife began to emit a scream of pain so bone chilling, my mind wondered if either of them would survive the day! As soon as we got to the hospital my wife was rushed into a hospital bed. The baby inside my wife Refused To Come Out! The same look that started this story when she said, "there's nothing more I can do." The doctor told us that we were running out of options and they would be rushing her back for emergency surgery! The local pain meds they gave her were not working! I was not allowed to join her or see the birth of my first child! I discovered that C-sections caused more than half of the total pregnancy-related deaths! I couldn't help but feel, that this, was a metaphor for my life shattering around me! The doors slammed open, and the cry of a newborn rang through the halls! The nurse turned to me and said, "It's a baby girl! And your wife is recovering just fine!" For good measure, and to show you that everything turned out alright, here is a photo of my family with my beautiful baby girl, happy health and most importantly...alive! This seemingly tragic event, ended up leading me to Dr. James Vegher! No exercise she did helped her recover her previously flat belly! I started looking for people who were having this same problem and it turns out that she was not alone. As I researched her issue I found people in all walks of life suffering from the same problem. I set out to find a reason why and a method to help her fix it. 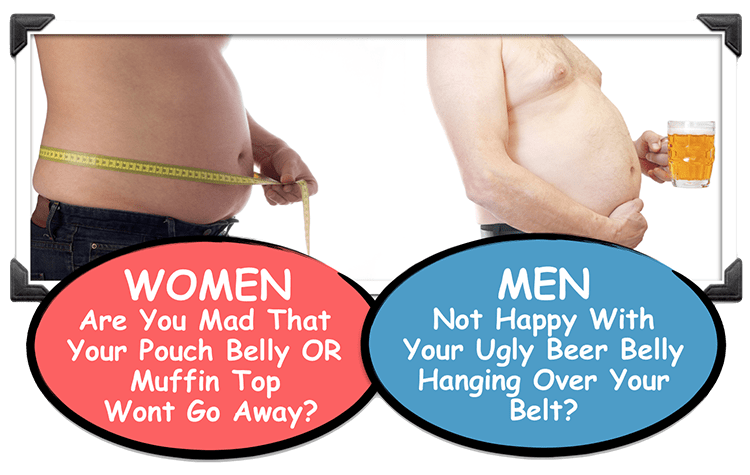 "Muffin tops", "pouch bellies", and "beer bellies"
NOT entirely caused by excess fat. Nope! Your waist and belly growing, your back aching, your posture slipping and your core strength slowly vanishing making you feel older and more fragile! Lucky for you... I found a solution to this problem! After extensive searching, I came across a brilliant Doctor of Physical Therapy named Dr. James Vegher! 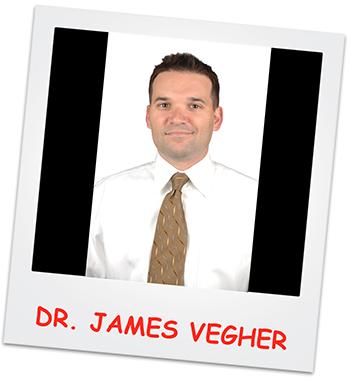 Dr. Vegher is NOT your ordinary Physical Therapist! In fact, he's discovered and perfected a series of unconventional ab exercises that are the perfect foundation for a Type KA like you. The exercises looked way too easy and there was no way these simple exercises could be the solution that my wife needed to fix her baby belly! That skepticism disappeared after I saw the results my wife got! Within days she mentioned feeling her core muscles working differently. The outcome of a slimmer waistline, flat belly and even building toned flat abs was only a side&hyphen;effect of Dr. Vegher's routines! Everyone came to him to fix their posture and pain problems but walked away with a flatter belly. Which made me think.. I asked Dr. Vegher if he would teach me about why this so well and his answer made me realize how brilliant he really was! Instead of their core muscles working together as a team, they battle each other or simply don't help at all. Can you imagine a sports team where only ⅓ of the players listened to their coach, ⅓ of the player ran around frantically with blindfolds on and the last ⅓ refused to do anything at all? Unfortunately...this can cause: Bad posture, back pain, abdominal protrusion, pain in other major joints like your neck, hips, knees and shoulders and even bad digestion!" This is what my wife had been suffering from! The muscles of your core are the foundation to every movement you make! That's how it's supposed to work. I've spent my entire life studying fitness, and this was the first time I've ever seen this information! "So...if a broken connection to your core muscles is the first mistake, what's the second?" MISTAKE #2: Conventional "Core Exercises" Can Cause Pain, Injury And Make Your Belly Stick Out More! You are actually making things worse! If all that coach did was train the ⅓ of his team that listened to instructions, would they ever really get better? When your core stops functioning properly... The only way to reactivate it is to use THESE primal exercises in a specific sequence!" 99% of the core exercises recommended to you, target a muscle group called the rectus abdominis. Dr. Vegher taught me that there is a group of muscles deep within your core called the transverse abdominis and the internal obliques. Due to the fact that the internal obliques point slightly upwards, you'll even notice a lifting effect on your belly when you activate these muscles. Out of nowhere my baby girl began doing the EXACT exercises in the EXACT order Dr. Vegher had described! her core muscles right in front of me! She had started going through a predictable series of movements that every human being goes through at birth that activates their core and eventually allows them to roll over, crawl, walk and run. Dr. Vegher took these same movements, developed a system of teaching them and used them on men and women of all ages to help them reactivate their core muscles and see nearly miraculous results! It was so simple, but no one seemed to know about it, except Dr. Vegher! ...All while improving your posture, dramatically increasing your core strength and fixing your back, neck, hip, knee and shoulder pain! There would be no substitution for the real thing! I decided to take it upon myself to convince Dr. Vegher to let me turn his routines into a program for people who desperately want to flatten their bellies but never get the results they want from traditional exercises. How she felt disgusting...That every time she looked in the mirror, she would obsess about how ugly her belly was. She shared with him how learning his routines had turned her life around, allowing her to finally look at herself in the mirror with a smile on her face and feel confident about her body again and for the first time in far too long! his unique Core Activation Routines! This way Type KA's like you can benefit from the same waist shrinking, body healing exercises that Dr. Vegher taught my wife! To help you fix old injuries, like nagging neck, back, hip, knee and shoulder pain all while you improve your posture, strength and balance so you can make your daily life easier and more enjoyable! The single most comprehensive core training program ever invented! Containing exercises and routines that are not only Dr. approved, they are literally Dr. created! We did all the hard work for you, so all that's left is for you to do is press play and follow along! Literally, 3 minutes from now you could be working with Dr. Vegher through his unique exercises and routines, re&hyphen;activating your core and seeing the instant benefits that come from knowing you finally have the perfect waist slimming, belly flattening system at your fingertips! 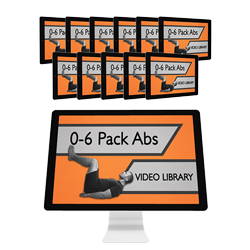 Quick Start Video Guide — The first thing we wanted to do with 0-6 Pack Abs is make it so easy to use that anyone young or old at any level could use it. 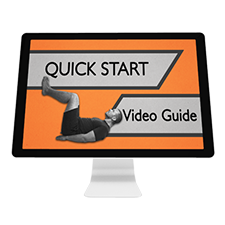 This detail quick start video guide will show you EXACTLY what you have to do to reactivate your core and start your journey from 0-6 Pack Abs! 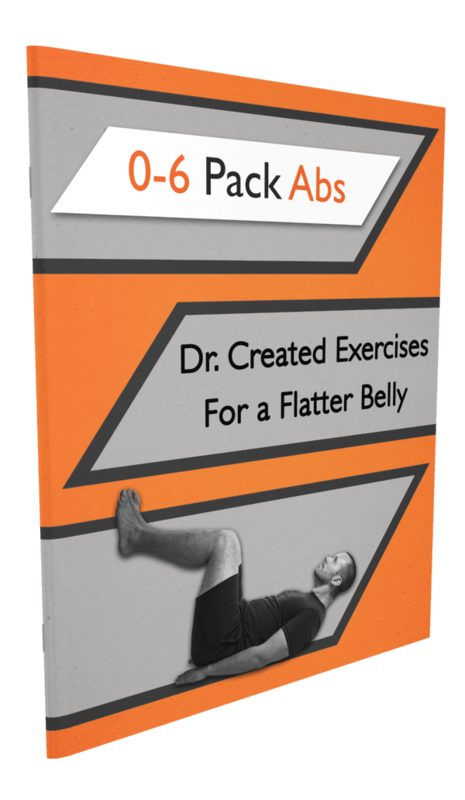 The 0-6 Pack Abs Manual —We took all the exercises and routines taught by Dr. James Vegher and put them into this comprehensive and simple to understand manual. You can follow and get amazing results using just this manual or… you can use the videos below. The Level 1, 2, 3 And 4 Follow Along Routines — We filmed the exact routines that Dr. Vegher created to make this so easy to use. Literally...all you have to do is press play and follow along and you'll get the core strengthening, waist shrinking results that you're after! PLUS WE ADDED BONUS MP3's! Just in case you wanted to go to your local gym and use these routines without looking silly following along to a video. We decided to throw in MP3 audio tracks so you can toss in some headphones and follow along to the routines using just audio. 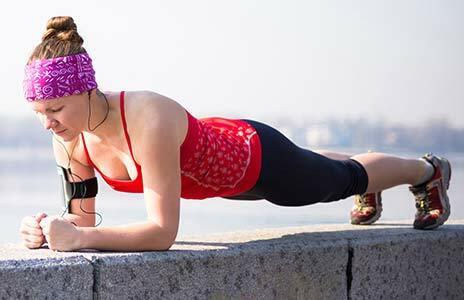 We'll tell you how long to hold each exercise and how long to rest. Just press play, listen and follow along! In just a sec, you'll have the opportunity to not only activate your core, but also an INSANE discount exclusively for action takers like you who took the time to take the core type quiz. Read this page and learn about how Dr. Vegher's Core Activation Routines can help you heal your aches and pains all while flattening your belly fast! First up is that most people don't understand the role your ab muscles are supposed to play. And...since you're watching this right now, and you've identified yourself as a Type KA, then you already know that your core muscles aren't functioning properly. The #1 thing that's preventing you from getting the flat belly you want is the terribly misguided mainstream advice constantly telling you to do more reps of the same old exercises. In fact, if you follow this advice...you'll target the wrong muscles causing your belly to grow, you'll agitate your aches and pains and can even end up injuring yourself in the process! The solution is to reactivate your core by turning to simple but extremely effective exercises that not only flatten your belly and build toned abs, but to also help fix your old injuries, improve your posture and make your daily life easier and more enjoyable! These unique core activation routines were intuitively created by mother nature and now perfected by science! Dr. Vegher has used them to help 100's of clients who fit the same Type KA profile as you in his own practice. Which means...today you finally have the chance to reactivate your core and get the flat belly you deserve! Dr. Vegher and I are supremely confident that this system is the most comprehensive ab training program ever created. All ego aside, there's NEVER been anything like this before. Dr. Vegher's Core Activation Routines aren't all you're gonna get today. We hit the drawing board and created a second program that takes over as soon as you reactivate your core that you can use to get the amazing body you want and deserve! This "PHASE 2" program features a NEW workout method I pioneered called "Micro Progressions." 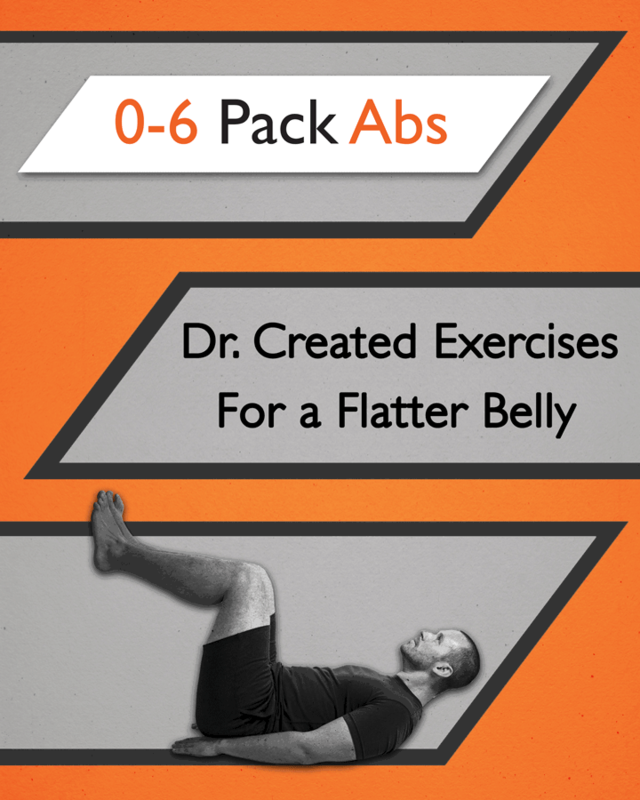 It picks up where Dr. Vegher's Core Activation Routines leave off, and takes you through a series of 16 different ab workouts strategically designed to take you from fat and flabby to flat lean abs in the fastest time possible! you get the best results possible! to complete and require zero equipment! We're throwing in the complete "PHASE 2" system, which contains 16 Follow along "Micro Progression" core workouts. As a 2 for 1 deal when you grab our Dr. Created 0-6 Pack Abs system today! 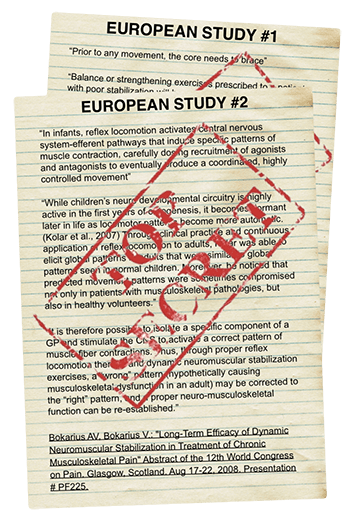 The research proves that when Type KA's use "traditional" exercises it can increase your waist circumference and even worsen any aches and pains you are experiencing right now! Dr. Vegher's Core Activation Routines will reactivate your core muscles and flatten your belly faster than anything else you've tried before. 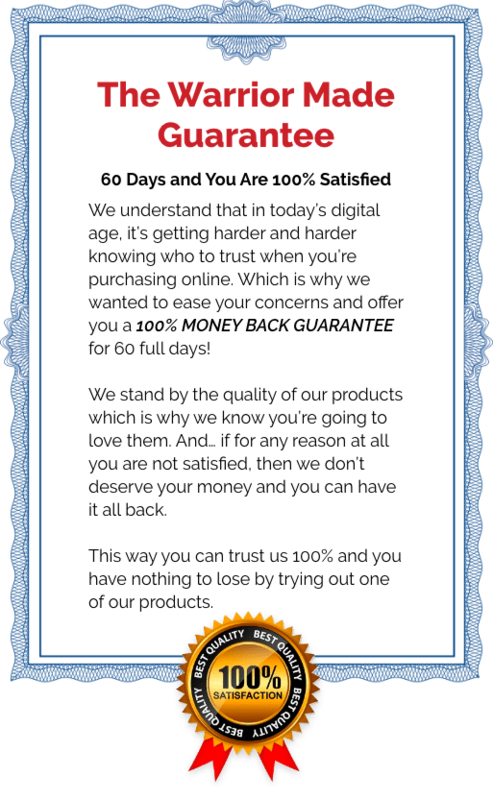 To ease your concern, we decided to remove all risk from your end and place it on our shoulders! You won't get any shakedowns or run arounds from us. In fact, if you ever have to email us, you'll hear directly back from me or my assistant coach Helen and you'll see that we are a small company who actually cares about you! initial consult with Dr. Vegher. Then you'd have to commit to at least 2 sessions a week for 2 weeks which would run you another $2,000 just to get started! And..
And that's just for Dr. Vegher's portion of the program. When you include the "PHASE 2" package that we added as a 2 for 1 deal...you would need to add the 30 days of time it would take to train with me personally in my gym, costing you a minimum of $1,500! price was out of the question! Dr. Vegher is a busy man with a thriving practice and he needed to be compensated for his time and commitment to this system. "Tyler, these incredible techniques should be accessible to everyone. This system will change lives, and I want everyone to have the opportunity to experience a life without pain. At my studio, I offer a group class 2 days a week where people pay $39 per class. What if we made this entire system available for the price of just one of my drop-in classes?" The strength and confidence you'll feel as you progress through this belly flattening system that will show you how to make your belly work for you and no longer against you! 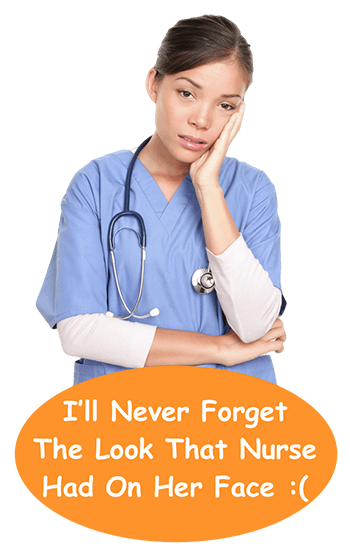 Your nagging aches and pains plaguing you from the inside will have to find someone else to bother, because with your new improved posture, your aches will disappear and you'll look and feel years younger! Friends and family members will remark about how amazing you look and inside you'll know that it all started with the decision you're about to make right now! 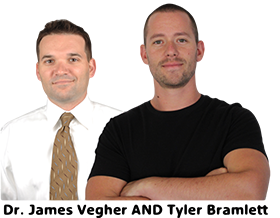 I'm personally responsible for over thousands of real world body transformations and Dr. Vegher owns a very successful physical therapy practice with hundreds of success stories! One thing that we both have encountered is the fact that some people simply will not take the necessary steps to make their goals a reality. If you use the Core Activation Routines that Dr. Vegher teaches in the 0-6 Pack Abs System for the next 7 days, you will see and feel noticeable results! 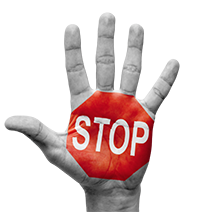 For every person that Dr. Vegher and I see take action and truly commit to using the 0-6 Pack Abs System, there's another person who ignores this information completely and continues to not get any results. Until this point in your life, you can't blame yourself about the way you're belly looks! Now that you know the truth, if you turn your back on it, you will have nobody to blame but yourself! Here's To You Reactivating Your Core, Shrinking Your Waistline And Building Toned Or Even 6-Pack Abs! P.S. Every second you spend right now thinking about reasons to ditch this page and not get the waist slimming ab toning benefits of 0-6 Pack Abs is another second you could be spending transforming your body. Don't waste this time! Instead take action while it's fresh in your mind and get started TODAY! THIS IS YOUR LAST CHANCE TO ACTIVATE YOUR CORE AND YOUR SPECIAL DISCOUNT!